“The Jasper Place Wellness Centre’s Food4Good is looking at bringing a community food centre to the west end because organizers feel the need is there.” – Kyle Muzyka, CBC News Read the whole article here! 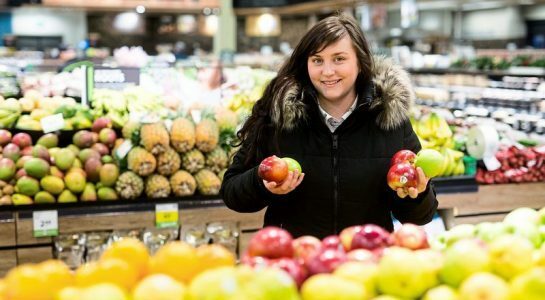 “Food4Good, a division of the Jasper Place Wellness Centre, has received seed funding from Community Food Centres Canada (CFCC) to explore the creation of a Community Food Centre in west Edmonton.” – Liane Faulder, Edmonton Journal Read the whole article here! Food4Good joined Kent Morrison on the Global AM show to discuss our vision for a Community Food Centre in Edmonton. Watch the full interview here! “The Jasper Place Wellness Centre wants to to bring a Community Food Centre to west Edmonton. We speak to the project manager about why we need on in our city and who it would help.” Listen to the interview here!